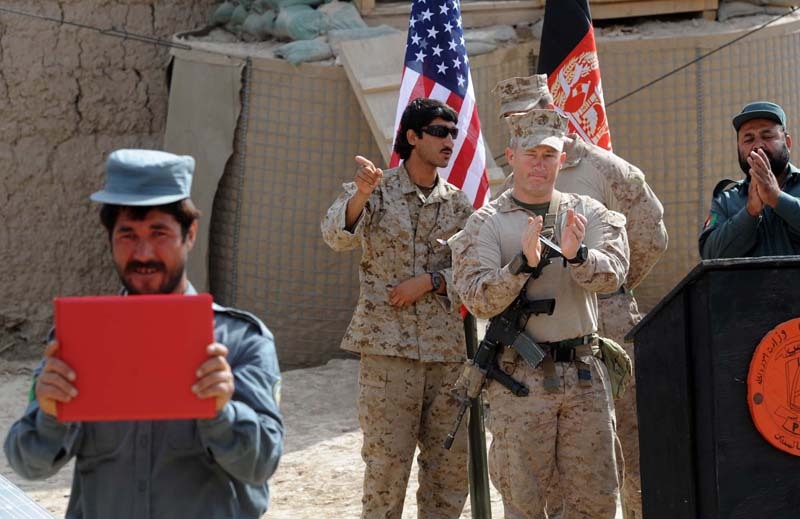 A graduation ceremony is held for the Afghan Uniform Police (AUP) Class 1-12 at the Sofla Precinct Station in Kajaki, Afghanistan. The AUP are being advised by Police Advisor Team 2, Members of H&S Company, 1st Battalion, 8th Marines from Camp Lejune, NC. Sofla Precinct Station in Kajaki, Afghanistan on April 09, 2012.